Have you thought about getting a Wii for your classroom? 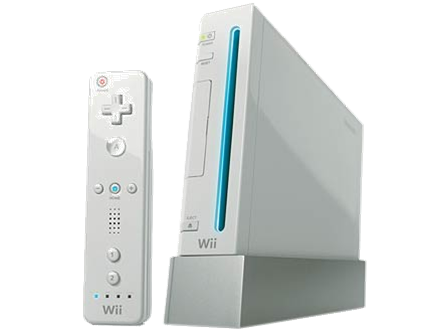 I know one the face of it it may seem daft, but think about it; Nintendo Wii’s come with a web browser, are easy to connect to the internet and can play flash files. For £140, they are about a third of the price of a desktop or laptop computer, have a wireless controller and there are dozens of websites out there offering flash games designed to be played on a Wii. Also, the Wii-motes are cheap wireless, gyro-mice. A gyromouse is a great way to move away fro mthe whiteboard and teach from any where in the classroom, they can be used in mid-air or on a table like a normal mouse, but they cost £80 each! The Wii-mote can be connected to your PC via bluetooth and operate in exactly the same way. They only cost £35 and your kids already know how to use them. One final thought, one of our Modern Foreign Languages teachers buy Spanish games when she’s on holiday. They are the same games as can be bought in this country, but in Spanish. During lessons her students get the chance to play these games, but have to translate as they go along. That’s a clever bit of immersion.